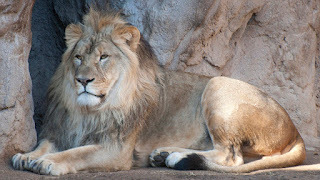 It was said that, a lion escaped from the Jos Wild Life Park while it was being fed at about 8am today Wednesday December 2nd. The lion slipped through the entrance which was left ajar by the park keeper who wanted to feed it. It is believed that the lion is still within the premises of the park however the management of the park fears it may enter into town as the park it's not fenced. Efforts are on inorder to recapture it. Residents of the town have been pleaded to be very cautious and vigilante. According to some people they said that the escaped lion is roaming around Eastern bye pass. Please careful out there!